The nutrition game is changing… So how do you change your game? 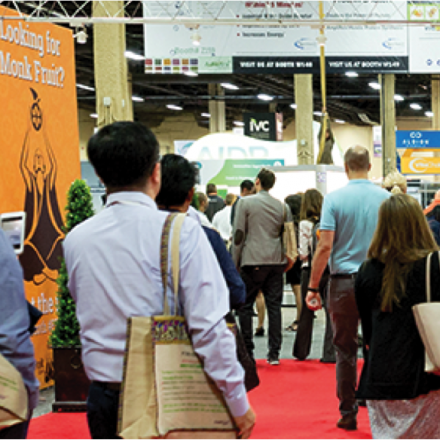 At Supply Side West in Las Vegas, HMT founder Peter Wennström and his expert team will bring you an understanding of how you can be the winner in the future landscape for food and health. Get an introduction to the FourFactors® – the globally leading tool for consumer centric innovation in nutrition, health & wellness. Deepak Gunvante: HMT’s partner for Asia Pacific, has held senior leadership roles with GSK, Unilever and General Mills. His expert domain is in consumer insight-based innovation, nutrition claims and regulatory affairs. The Nutrition Game is Changing. How Do You Change YOUR Game? Learn how to successfully adapt to the ever-changing conditions in todays highly competitive nutrition market at Supply Side West’s Central Stage on November 9, at 3 pm. We at HMT have identified six forces that are changing the game for the nutrition industry. From each of these Global Game Changers emerges a Nutrition Innovation Strategy that will help you win in tomorrow’s market place. Peter will demonstrate how to win with examples of the old vs. the new way to innovate with your brand. Would you like to emerge yourself in HMT’s global gamechagners and how they are manifested? Get our latest trend report on Gamechanging Trends 2018 by emailing Zuzana@thehmt.com.